If you have been thinking about a career in the HVAC trade, you have probably given a great deal of thought as to what type of training you will need and the different kinds of issues you might encounter throughout a typical work day. One of the many things you will learn during your vocational training at RSI is basic troubleshooting for a variety of HVAC problems. 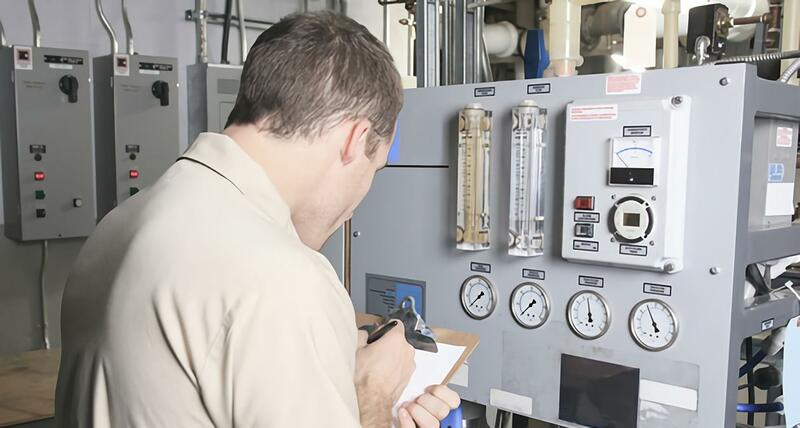 There are plenty of things that could go wrong at any time with any given system; therefore, having knowledge of the most common issues will help as you begin to diagnose potential HVAC problems. If you have an air conditioner that isn’t running, the first thing you should check is whether or not it is getting power. Is it plugged in? Is the breaker tripped or is a fuse blown? It may also be a faulty motor or compressor that is preventing the HVAC unit from running properly and continuing to trip an electrical circuit breaker. If the unit is low on Freon (refrigerant), it may have been undercharged when it was installed or it’s leaking. If it’s leaking, adding more Freon won’t fix the problem for very long. Additionally, Freon leaks are harmful to the environment. It’s thus imperative to inform customers that a Freon leak will require someone who has refrigeration training to test, repair and charge the system. Dirty filters and dirty coils are another very common cause of an HVAC system that is not functioning properly. Either of these issues could cause the compressor and fans to fail prematurely. When an AC unit is oversized, it could cause the unit to turn off and on too often, resulting in the compressor and fan to wear out more quickly. Another widespread issue is the corrosion of the terminals and wires. An experienced technician should inspect all electrical contacts within the unit. The evaporator’s condensation pan should be cleaned periodically to prevent the drain from becoming clogged. Once the drain is clogged, it could result in water leaking into the building, causing additional damage. There are a number of items to check when an air conditioner is blowing but fails to blow out cold air. Make sure the thermostat is set on “auto.” If it’s on fan, the system will blow air, but may not blow AC air. Check the filters to see if they are dirty. Inspect the outside unit to see if it’s dirty and if the coils are clogged with dirt, grass, weeds or ants, and trim any bushes possibly blocking the unit. See if the outside unit fan is working. Check the Freon levels. If the unit is low on Freon, it may not be cooling properly. This also means that the unit may have a leak and will require repair. Almost all HVAC repairs will require a certified professional. Choosing a career in this industry would provide you with a job with myriad employment opportunities, as there will always be a need for trained HVAC technicians. There are strict licensing laws that regulate air conditioning repair and the proper handling of refrigerant, so employers and customers alike prefer trained professionals. If you would like to receive more information about a career in the HVAC industry, contact RSI. We have been training technicians since 1965 and have a number of vocational training programs and course options to help you begin your HVAC career.